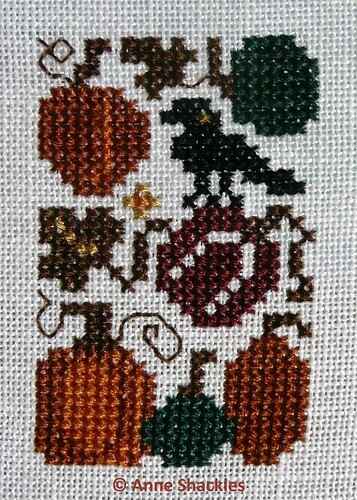 Anne S • This entry was posted in Cross Stitch, Great Pumpkin Challenge 2010, Prairie Schooler and tagged Cross Stitch. Bookmark the permalink. Another cute one – you’re obviously having great fun with these! This one will look great a a floss tag! I’m certainly enjoying all your pumpkins, Anne! !